The American Chestnut Research and Restoration Project is currently occupying Suite 1300 at the CNY Biotechnology Accelerator. 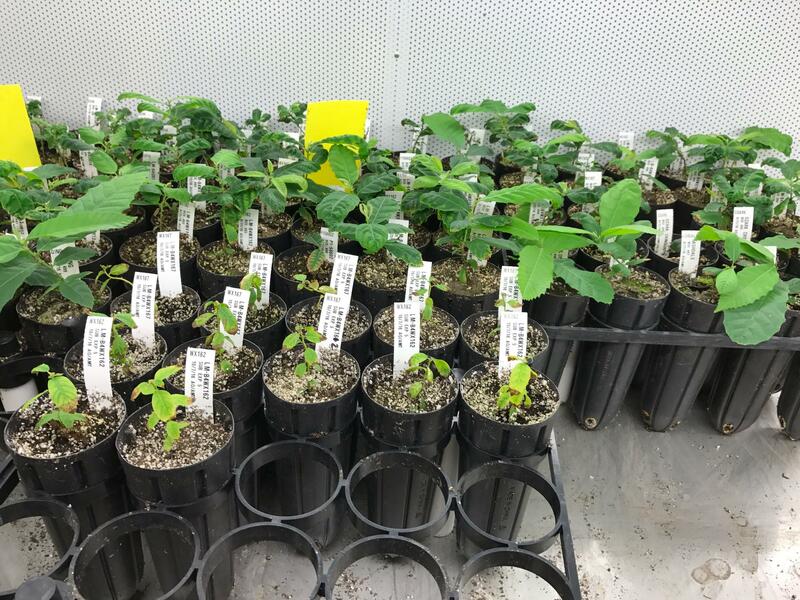 In their lab, genetically engineered, blight resistant American chestnut plantlets are being acclimated from sterile culture conditions to newly installed, state of the art, high-humidity and high-light growth chambers. Fertilizer regimes, media substrates, and various other variables are being tested to improve plantlet growth and survival during the acclimatization process. The transgenic trees will be used in field plantings to test blight resistance and non-target effects. Eventually this lab will be the main production facility for our blight resistant American chestnut trees being reviewed by the federal regulatory agencies, with a goal of producing 10,000 American chestnut trees in five years to be ready for distribution once approval is received.